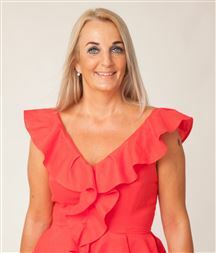 Cynthia has been described as having that ‘special’ quality that draws people to her and instils confidence and trust. Her clients believe that she is special, not just within the industry, but as a person. Warm, friendly, an excellent communicator, very approachable, knowledgeable …the list goes on. Selling family homes is Cynthia’s forte, having renovated her own homes with her carpenter husband over the past 30 years she knows what families need and desire in a property and can offer practical advice to her clients on renovation options. With over 33 years’ experience in sales Cynthia can help you into your dream home. If you want to work with someone who has obvious experience and proven talent matched with empathy and a down to earth approach to life then give Cynthia a call. She’ll make your entire real estate experience special. ‘Really listening to what people need and then helping them to make their dreams a reality is what it’s all about’ says Cynthia. For some people selling or purchasing a property is more than just a transaction. It’s a connection with their heart. As a seller, a buyer and a real estate salesperson, Frank understands your feelings, and that’s why he gives his all on every single sale to get his clients the best results possible every time. 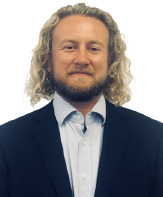 Over the past 8 years Frank has been involved in the hospitality industry, honing his already excellent marketing, communication, negotiating and people skills. He also ran a home stay business where he worked alongside schools and parents. Honest, patient, caring and detail focused, Frank knows that good communication is very essential to any relationship. Understanding that being a successful salesperson often involves listening more than talking. He knows that his role is to help people achieve their dreams in a simplest and quickest way. With the ability to speak English and Mandarin, Frank can assist all, particularly Chinese clients where language may seem like a barrier to the property market. Integrity, in-depth community and market knowledge, effective negotiation skills, and a high quality professional network are only some of the hallmarks of how he works on your behalf. Call Frank today to see how he can help your dreams become a reality. If you ask my clients they will say "Gee is a Auckland real estate agent who thinks differently". You may wonder why? Buying & Selling Homes in any market is a financial transaction with mutual benefits on both sides. However, getting the best deal in the current market is a matter of conducting the right research and obtaining the best advice. Irrespective of where you are on the property ladder, I know and believe that I can help you to buy or sell your next home in North Shore. Having lived in Auckland and witnessed the region develop over the past 15 years, i can defiantly say that i am a flag bearer for its merits. Whether it’s the reputed schools, beaches, lifestyle blocks, relaxed retirement villages or the vibrant & diverse community, Auckland has it all. For me real estate is a life career and one with a thriving addiction. My achievements in a short span of time are a direct result of my passion for real estate; my education based marketing techniques, and my family background within the real estate industry. Now, i am a family man who understands the importance of home, family and community. My focus is on dovetailing your real estate needs with my knowledge and skills - to bring you the best real estate solution in the least stressful manner. In real estate it’s not always about properties. Sometimes all we need is a hand to hold, an ear to listen, and a heart to understand. As I believe all lasting business is built on a firm foundation of friendship and respect. I wish you and your family success and if there is any way I could help you in making a decision to either sell or buy your next home, you know I am just a phone call away. Jo is known for her warm and friendly personality, and for having an open and honest manner. These special qualities help create strong connections with people she meets, and imparts confidence and trust. 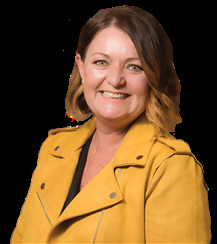 A born and bred Aucklander, Jo brings a wealth of extensive house renovation experience to the team, having bought and sold numerous properties in the last 20 years. 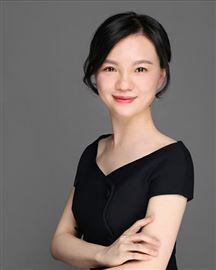 Her experience in buying and selling property in different markets, with a range of agents and through different methods of sale have undoubtedly made her understand the process first-hand from a customer eyes, which is a valuable insight for any agent to have. Her key point of difference however is her extensive styling background, which has seen her style for advertising campaigns, food style magazines, models, celebrities, and most recently real estate. With home presentation a key factor in getting the best value for your property, Jo works with our clients to produce a property sales presentation plan that suits their needs and budget and helps them increase the sale price of their property. A friendly and gentle natured guy, Johnny is focused and passionate about helping clients achieve their goals. He lives by the words that “promises are nothing until delivered” – so when working with Johnny, you know you’ll be well looked after. With a qualification in Marketing Management and experience working as a Sales Manager, Johnny knows what it takes to commit and deliver. He takes pride in helping people find the right home for their situation and put his ‘all’ into helping clients get a great result from their sale. A family man with a keen interest in sports, Johnny loves living in North Shore, where he’s lived for the last ten years. He currently lives in Sunnynook where he enjoys the parks and beaches nearby with family and friends. Young, ambitious and driven to succeed. Brought up living on the Shore after attending Takapuna Grammar and starting to establish a presence in the North shore Area as an important member of the Harcourts Cooper & Co team. Friendly, approachable guy who enjoys the business and happy to help when required. Contact me anytime for a friendly discussion on 021 024 10431. Lara brings you a depth of experience seldom found in the real estate industry. With 10 years in the industry, she has seen the inevitable trials and tribulations that owners, tenants (and homes) go through. Her natural communication, and negotiation skills have proved to be an undeniable strength. This, combined with her positive people-centered approach, has enabled her to lead a successful property management team. Starting out in property management, the natural progression was to move to sales.This segue means that Lara’s clients can now more fully benefit from her first-hand knowledge of buying and selling 14 properties, renovating, running a Home Staging business, and handling investment and rental properties – all whilst raising a family here on Auckland’s beautiful North Shore. “What a great place to live.” With her keen interest in international interior design trends, she really is well-placed to assist you with your buying and selling decision-making. Lara has the full spectrum of skill sets to adeptly guide you through the process of listing your home, to helping you put the SOLD sign up – before popping the bubbly! In a nutshell, Lara has done the learning so that you don’t have to. You can list with Lara with confidence. We recommend you call her, and begin the process of seeing why so many of her past clients become happy and enthusiastic repeat clients. 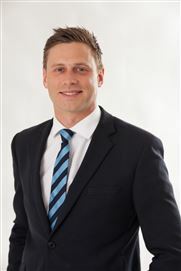 Leigh Gissing is an experienced Real Estate Consultant and top performer. Leigh’s warm friendly manner, professional helpful advice and commitment to deliver her clients the highest level of service, along with her highly effective communication skills and superior negotiating expertise have put her at the fore front of the industry. Please take a moment to read what her clients have to say….. “We selected Leigh Gissing based on her outstanding communication skills, successful track record and her commitment to achieve the best possible price….we were particularly impressed by the long hours of hard work she puts in…. in just 10 days, she successfully sold our property at the upper end of our expected sale range. Throughout this Leigh has shown integrity, professionalism, honesty and impeccable manners at all times. 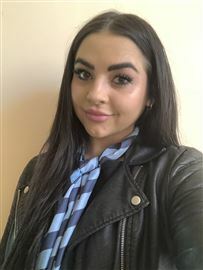 We strongly recommend her to anyone wishing to sell a property.” Outside of work Leigh likes to spend time with her two busy teenagers – Luke & Holly and her husband, Glenn. Buying or selling, Leigh would like to help you! Made with a smile—I hope it’s contagious! Martin’s passion has always been to deliver exceptional service to all his clients from all walks of life. His drive and passion has helped so many people achieve their property goals, whether it’s getting a great sale price or finding their dream or first home. Committed to the philosophy, "Great are those who do Great Things BUT Greater are those who Make Great Things Happen" Martin's extensive knowledge and years of experience in Real Estate, assures you of his high professional standard, commitment as his negotiation tactics are firm and fair ensuring you achieve the best outcome. His dedication and 'go get' attitude has been responsible for Martin's multi-faceted involvement in the Real Estate Industry, resulting in an extensive knowledge in dealing with residential property, new development projects, new homes as well as home and land packages. Being a passionate individual he continually strives for success, totally committing to his clients and his own ability to achieve great success with outstanding results. Be prepared to experience 'the service you deserve from the professional you can trust' Today by giving Martin Petros a call. Leveraging local & overseas networks, to help you sell your home for a premium www.mickeyzhu.co.nz Mickey has a genuine interest in working with people. He’s had the pleasure of working with many of his past customers again and again – a testament to the fantastic service he offers clients. A Kiwi at heart, Mickey moved to New Zealand over 17 years ago from China. Originally living in sunny Nelson, he embraced the kiwi culture there with his NZ family during schooling days, while maintaining a strong relationship with his Chinese family back home. The advantage of having ‘a foot in each culture’ is indeed a huge asset in real estate – Mickey has a powerful connection with both cultures, which undoubtedly opens up more doors for his clients when it comes to widening the net for prospect buyers. After school, Mickey moved to Auckland, where he attended Auckland University to major in Computer Science. His hard work and determination led him to become Operations Manager for New Zealand’s largest online shopping company – Shop New Zealand. It was here that he demonstrated his impeccable attention-to-detail, top notch negotiating skills and problem solving under pressure – as well as discovering his passion for working with people through great communication, empathy and a genuine desire to help. Mickey offers unsurpassed marketing, communication and negotiating skills. This is backed up by in-depth, up-to-the-minute and comprehensive market knowledge; honesty, integrity and a keen eye for details. His longstanding reputation for getting results and his sophisticated yet down-to-earth approach provide Mickey’s clientele with a distinct advantage in the purchase and sale of properties. Mickey is more than capable of dealing with all nationalities. You will also experience the benefits of dealing with an International Real Estate brand and New Zealand’s largest Real Estate company. Mickey is currently the top salesperson for the North Shore Central office and is consistently in the top 1% of all Harcourts agents worldwide. His unsurpassed success since joining real estate 9 years ago has been rewarded with numerous awards, recognitions and credentials including: 120 Million Dollar Club Diamond Pin Award # 1. Salesperson, North Shore Central Branch, 2015/2016/2017/2018 Top 10 Salesperson, North Shore Region 4 Years Running - International Top 100 Salesperson Award Team Mickey Zhu SOLD OVER 380 MILLION DOLLARS REALESTATE in only 5 years – Because Results Count! Mickey has been living on North Shore more than 10 years and he knows the area well. Whether you're selling your home or buying a property, Mickey and his team have the skill and experience to get you the best possible result. Mickey would welcome the opportunity to discuss Real Estate … Give him a call today. Mobile - 021 88 0106 or DDI - 0508 Team MZ Additional Contact Details;- WhatsApp: Mickey Zhu WeChat: mickey722 Facebook: m.facebook.com/MickeyZhuRealEstate/ And that’s just the beginning! Having successfully marketed and sold countless properties for happy clients, Mickey has an undeniable reputation in the industry and a dedicated team behind him to support him every step of the way. Whether you’re selling your home or buying a property, Mickey and his team have the skill and experience to get you the best possible result. So why not get in touch – we’d love to help. Over a decade of relationship development (Sales) and 10 decades worth of excitement, enthusiasm, negotiating and laughs to share. You will NOT find an agent who is more hardworking than me. I am a life ambassador! we are a one in one trillion chance of being on this Earth I intend to make the most of it. My philosophy is simple you don't search for happiness through success you find success in happiness, I love what I do and will do the ultimate best for you, each and every day! I am in the business of relationship building. You can call me any day at any time and I will be available, I intend to make our Team get to number One and there is only one way to get there, Hard Work! Having lived in Multiple countries all around the world I have now settled back into my home country New Zealand, bringing all my international experiences and learning right to your door step! Every person will write their little 'spiel' about what they have accomplished and how good they are Blah blah blah. I am different, what I am offering you is ME! 24 hours of every day, the WOW factor, Me I specialise in Digital Marketing, getting your home seen by as many people as possible with professional content. I am results focused, your results to be specific! Along with your ultimate satisfaction! PJ moved to New Zealand with his family in early 1998, having lived in the Middle East for 7 years and before that in Singapore for 8, during which he managed various Software Services & Consulting Companies. His 23 years of work experience in various fields of Information Technology (IT) has taken him through Asia, India, Europe and the Middle East. He has lived and worked in various multi-cultural environments, and is comfortable in building relationships with people from diverse ethnic backgrounds. PJ has always been involved in Sales, Marketing & Consulting – and has a major strength in people skills – which he developed during his travels and multinational work experience. It is these skills & experiences that he has brought to the Real Estate business and that he now brings to you. On the personal front, his wife Shirin, works with children with special needs, at CCS (Child Care Services) part-time and has recently joined PJ in the business, enabling them to focus on both your selling and buying needs. As a team, they are able to offer you more than most – more face time, better services and enhanced efforts. Their three sons – Vikram, Adi & Varun, love the NZ environment and keep busy with university and sports. PJ offers you a fresh perspective on the Real Estate Business. He strives to provide the most professional services in the Real Estate market – conditions that you should rightly demand in decisions regarding your property. Rob joins the North Shore Central team after an extensive Sales and Marketing career in the Food & Beverage industries, both in New Zealand and Asia. In both industries Rob has always been in roles that have dealt directly with customers, which has taught him the importance of being totally customer-focused. Always ensuring the best interests of his clients are at the core of every decision, and that every decision made is an informed one. Buying and selling your home is not something you do every day and he wants to ensure that the journey is a stress-free and positive experience. Simon has been mentioned by both buyers and sellers as "one of the best agents around" and "absolutely amazing." Simon has achieved top results for his clients, including setting street and suburb records and he knows the market well. The difference with Simon is not only is he one of the few agents out there with real university certification in 'Negotiation', that puts him in the TOP 1% of agents with this level of study, but he brings his natural skill and flair working with indoor and outdoor design elements that help clients when putting their property on the market. Simon loves to help and talk with his clients about how to maximize their result and how to differentiate and stand out in the market place. He takes the stress away and engenders confidence in those he speaks with. 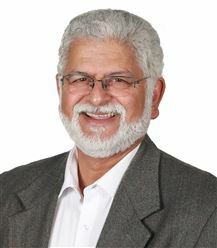 With a background as a very competent School Principal and then as a highly successful Regional Sales Manager for a large Auckland marketing company, Simon now uses these key competencies of practiced facilitation, outstanding communication and strategic thinking to give his clients the edge, when buying and selling property. Simon knows what it takes to succeed. He provides a rewarding, enjoyable and first- class experience for everyone involved. He gets the job done. For a professional, friendly and passionate sales agent, who shows initiative, attention to detail and commitment to the task, you will want Simon to be your agent. With Simon, you should expect the best. With 14 years of sales experience under her belt you could say Stacey is passionate about all aspects of the full customer service experience. She began her career as a beauty therapist in Auckland in 2002 and quickly made a name for herself as a sort after make-up artist. While raising her four children Stacey was regularly called upon to attend as a make-up artist for high profile shows including NZ Fashion Week and Servilles competitions. This fast paced and high profile environment has given Stacey an in-depth understanding of top end customer service and quality marketing. She is a highly motivated individual with a positive approach to life. Her focus, dedication and attention to detail ensure she produces great results in everything she sets out to do. You will find Stacey approachable and a real joy to be around. Her enthusiasm, energy and passion are infectious. Stacey’s warm personality will immediately put you at ease. At the centre of Stacey’s commitment to impeccable service is honesty, integrity and an absolute genuine interest in her clients and achieving the best results for them. Stacey ensures her professional relationships are open, trustworthy and that her clients are kept fully informed throughout the entire sales/purchase process. An intent listener and a natural ability to understand others needs allow Stacey to consistently meet client’s expectations. “I am passionate about property and people. In life you have to do something you are passionate about and a career in Real Estate allows me to combine the two. I just love what I do. Doing it well, with honesty, integrity and genuineness, is at the core of who I am”. Part of the dedicated team at Harcourts Cooper & Co, Steve Leadley is committed to exceeding his clients expectations with outstanding sales results and superior customer service. 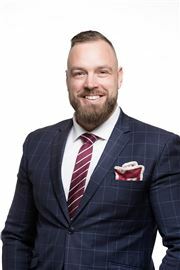 As a fully licensed real estate agent, Steve has a reputation not only for his professionalism, but for his energy, his fun outgoing nature and his enthusiasm for implementing highly innovative and successful marketing campaigns. Prospective sellers can be assured that Steve is 100% committed to achieving the best possible price for the property, and consulting with them every step of the way. " In my opinion, honest open, and constant communication with my clients is critical for achieving success in the sale of their property. It is important that I am always readily available to my clients to help them make informed decisions throughout the entire sale process". A local resident of the North Shore with his two young girls attending the local schools, and having been active personally in the local property market gives Steve an extensive local knowledge. This has a clear advantage in determining accurate market values and therefore achieving premium prices for properties in the area. Steve has a natural, friendly and easy going approach which enables him to quickly build rapport with people. "It is extremely important to me that my clients trust and feel comfortable with me to manage the sale of their property. I am totally committed and focused on providing exceptional customer service". Having also serviced 12 years in the New Zealand Air Force, Steve has an enormous capacity for hard work. His experience has also shaped his intrinsic values of loyalty, honour and above all integrity. These values make Harcourts a natural fit for him due to their unmatched reputation in the marketplace for integrity, strong customer focus and commitment to excellence. With eleven years in the property management industry, Christine brings knowledge and experience to the Harcourts Group. Starting with Harcourts as a Property Manager in 2011 she was then promoted to Team Leader in June 2015. She offers honesty, integrity, and professionalism to all clients and prides herself on her communication skills as well as her ability to resolve any problems as quickly and efficiently as possible. Christine is passionate and committed to Property Management, is highly organised and efficient, which allows her to do her job with ease. She is reliable, approachable and her friendly manner and calm demeanor allows Christine to get along with people from all walks of life. Darenne has been enjoying working with the Property Management team for the past 3 years after a move from Taupo to the beautiful North Shore. Darenne has over 5 years experience as a Property Management Finance Administrator and in addition, has over 30 years experience as an Assistant Accountant and Finance Manager predominantly in the retail vehicle industry. Fale is new to Real Estate coming from years working in the travel industry. She has a strong customer service and systems background and is always looking for a challenge in her roles. She loves being a mother and spending time with her young family. Haley has worked with Harcourts for 2 years, initially employed to clean the tenants homes and then became an Inspection Agent. Previously to working with Harcourts Haley owned her own Cleaning/Car Valet business for 4 years. 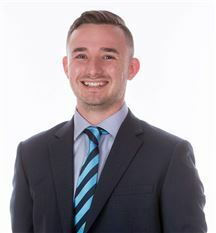 Jordan is a vibrant young property manager who has recently joined our Harcourts Cooper & Co Glenfield Branch. Her modest period of 3.5 years in the Real Estate industry is no reflection of the strong communication and organisational skills she brings to our business, ensuring her a valuable, conscientious, and thorough team member. When she is not hard at work Jordan enjoys travelling and spending time with her family and friends. 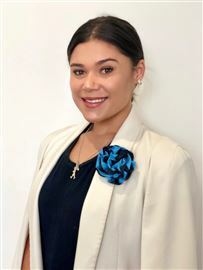 We welcome Jordan and her skills to our Harcourts Cooper & Co family. Coming from a background in nursing, Kirstee then went on to work in the popular North Shore Central Property Management Team. Starting out as the administrator, Kirstee learnt from the bottom upwards what is expected of her to maintain a high standard of care, compassion and integrity. Kirstee is a great communicator and takes pride in everything she is responsible for. Working on an award winning team Kirstee has the tools, knowledge and resources to provide you with the best service available. 17 years experience in the property management industry. Her solid planning and organizational skills ensure our customers, both owners and tenants, are satisfied and our business objectives are met. She is responsible for providing the best advice to future clients enabling them to make informed decisions regarding their investment. Rachel is highly motivated, reliable and professional and she understands that communication is absolutely vital. Her clients know to expect nothing less than the very best from Rachel - and that's what she delivers. 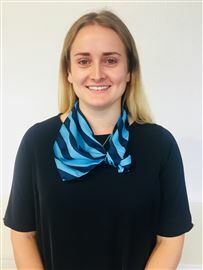 Rebecca has worked as an Inspection Agent with Harcourts for the last 10 months and had been the Database Administrator prior to that for 6 months. The best part about her job is being out on the road and getting to meet all the tenants whilst doing Inspections. Zoe has over 10 years experience working within Property Management across various Harcourts offices. Starting out in admin and progressing from there to letting agent, PA for an award winning property manager, office manager, Commercial and Residential property manager and most recently Operations Manager, this broad experience gives her a wealth of knowledge in all aspects of property management. Harcourts Cooper and Co Property Management welcomes Zoe Garner back after 2.5 years. 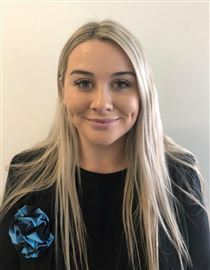 With experience of all aspects office and customer service skills including years of participation in fortune global 500 corporation and NZ local firms, Emma has equipped herself with a strong aptitude for Harcourts by joining Mickey Zhu's team. Her unique capabilities would be a great asset to the team ensuring client satisfaction and service to the highest level. Prior to working for Harcourts Cooper & Co i was an early childhood teacher for 4 years, along with working on their head office doing administration work. I have recently joined the Harcourts Team to begin my career in Real Estate. Do You Need 2 Living Areas? Do Up, Freehold, Must Be Sold! Auction Today: 7pm On Site!!! Suits So Many & Will Be Sold! BE QUICK, Last Days to View! Freehold - Must Be Sold!! HUGE Price Reduction. Act NOW! Westlake Entry Level Do Up!